This is big. And your representative played a crucial role. 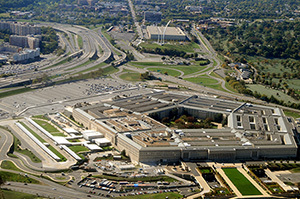 Congress passed a measure which identifies climate change as a national security threat—and instructs the military to report out on how climate change is impacting the Department of Defense. This is huge—and it couldn’t have happened without your representative, who not only supported this language but pushed hard to ensure it remained in the bill every step of the way. When our elected officials do the right thing, they deserve our support. Take action today, and thank your representative! Thank you for all of your work to ensure that Congress recognized climate change as a direct threat to the national security of America in the National Defense Authorization Act. It is my hope that this vote signals Congress's readiness to advance more active solutions to the dangers posed by climate change. America has a proud tradition of protecting its citizens at home and abroad--and we must be ready to protect people from a warmer, less stable world. The vote on the provision shows that climate change is a bipartisan issue--one that the vast majority of Americans recognize as real and urgent. I hope you will continue to show we can work together to provide a better, safer world for future generations.